Under limited supervision the Regional Support Representative is responsible for Onsite Campus student enrollment and continuation, including the effective implementation of new student recruitment, registration, retention and other relevant student service processes at select V Campus locations. In addition, the Onsite Program Manager will function as a primary point of contact for client interaction with VZW Management Staff. Ensure the admissions process is operating. Work on the admissions and registration process for all signed onsite programs. Including assisting prospective students in completing their applications, providing them with class schedules and supporting our new population with all administrative and operation functions required. Partner with other departments as necessary to finalize enrollment process, including the Business Office, Academics, and the University Registrar’s Office. Foster an environment of cooperation and teamwork among field staff and all support departments. Adhere to all University policies and procedures and federal, state, and accrediting agency rules with respect to recruitment. Demonstrated admissions or sales experience including the ability to work in a fast-paced, service-driven environment is highly preferred. Must be able to make strategic business decisions. Must possess strong leadership, coaching, and interpersonal skills as well as the ability to think independently and take initiative to proactively solve problems. Must be detail-oriented and have a focus on achieving optimum levels of service, while maintaining high ethical standards and attention to compliance with University policies and regulations. Must possess the initiative and determination necessary to provide valuable and timely services to prospective and newly enrolling students. Must be proficient in Microsoft Office to include Word, Excel, Outlook and previous experience with a CRM is preferred. Must maintain a professional appearance and adhere to Strayer University’s dress code standards at all times. If you require a reasonable accommodation to complete our application process, please contact our Human Resources Department at [email protected] . The Ecole Pratique des Hautes Etudes (EPHE) is a large institution of higher education and research, member of the Comue Paris Sciences et Lettres (PSL), and founding member of the Campus Condorcet project. The EPHE is established on several sites in France and French Polynesia. – 1 year contract in the framework of the ERC project “History of the Tocharian texts of the Pelliot collection”. This ERC project focuses on the study of Buddhist culture in the Kucha region of the Tarim Basin (present-day Xinjiang, China) in the second half of the 1st millennium CE. For this purpose, documents in Tocharian and in Sanskrit of the Pelliot Kuchean Collection, held in the French National Library (BNF), will be studied by both historians and linguists and physicochemists. – Within this large project, the job consists in providing information on the manuscript material constituents in order to enhance the codicological knowledge of these documents and to help classify manuscripts by combining data from studying texts (linguistics, content of texts …) and from scientific results achieved by material analysis. To do this, should be identified: tree species for documents on wooden tablets and fibers for paper documents, using mainly optical and digital microscopy techniques. Digital microscopy could also provide additional information by observing the surface of documents. – She/He should Identify the materials (wood, paper) constituting the supports of manuscripts by microscopic techniques (optical, digital). – She/He should Set up a non-invasive identification and analysis & testing protocol for wood and paper substrates by microscopy. Analyzes on manuscripts shall be conducted at the BNF (Richelieu site) using transportable equipment (several weeks planned on site). Mission preparation and data processing will be done at the Centre de recherche sur la conservation (CRC) on the site of the Museum national d’histoire naturelle, Paris. At CRC, he / she will work under the responsibility of a research scientist in strong interaction with the various researchers of the laboratory involved in this project. – Strong knowledge or even mastering optical and digital microscopy techniques. An MA Scholarship is available for a thesis in the 2019 academic year, associated with the ‘Big Data Approach to the Problem of Electoral Turnout’, a Marsden-funded research project, under the supervision of Professor Jack Vowles. Taking a ‘big data’ approach, using marked electoral rolls indicating whether or not the 30,000 people sampled cast a vote, this research maps and seeks to explain stability and change in voting and not voting over two general elections and two local elections. The proposed research will analyse movement between the general and Māori rolls during 2018, using both the matched sample and the entire rolls before and after the change. 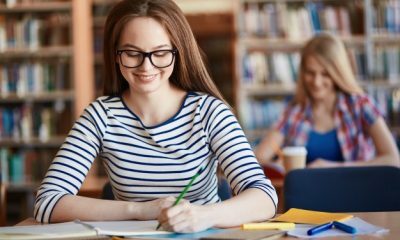 Applications are sought from those who are eligible at the time of application, or who will have become eligible at the start of Trimester 2 the following year, to enrol for a Master’s degree by thesis worth 90 points or more. This will either be Part 2 of a two-year, 180 point Master of Political Science (MPols) degree (course code POLS595, 90 points) or a 120 point Master of Arts (MA) thesis in Political Science (course code POLS591). * Applicants would normally be expected to have completed a Bachelor’s degree or Honours or Master’s degree Part 1 in political science or an appropriate social science subject demonstrating academic achievement equivalent to a First-Class Honours degree from a New Zealand University. * Applicants undertaking a 180-point Master’s degree may be eligible for this scholarship provided that they conduct the research under POLS595 (as a 90-point thesis). * Scholarships will be awarded solely on the basis of academic merit. * The research will require a willingness to engage with and analyse data, using various methods of quantitative analysis and experience in using statistical methods will be an advantage. Assistance in learning such skills, if required, will be available from the project research assistant in the first half of the year, and throughout from the supervisor. Professor Jack Vowles, Dr. Matthew Gibbons, Professor Jon Fraenkel. The scholarships have been established to build cross-disciplinary research capability and capacity in global change studies to help meet the emerging demands of increasingly complex social, economic, political and bio-physical system changes brought on by a warming climate facing Māori and wider Aotearoa/New Zealand society. Applications are sought from those who are eligible at the time of application, or who will have become eligible within six months of notification, to enrol in a Master’s degree by thesis worth 90 points or more. In most cases this will be Part 2 of a two-year Master’s degree. Applicants across the physical and social sciences are encouraged to apply. Scholarship applicants must contact the School in which they wish to enrol directly so that their research proposal and the feasibility of supervision can be assessed. Enrolling as a Master’s student and applying for a Scholarship are two separate processes. The holding of Scholarship is conditional upon the scholarship recipient gaining enrolment as a Master’s student. Scholarships will be awarded on the basis of academic merit by the Deep South Challenge Kāhui Māori and the Science Leader for the Vision Mātauranga science programme. Once the Selection Committee has made a decision applicants will be notified by email of their results, and any feedback from the Committee. The scholarship will be paid in monthly instalments following completion of a 6-monthly progress report by the student. Scholarship recipients will be expected to sign a Postgraduate Scholarship Contract. 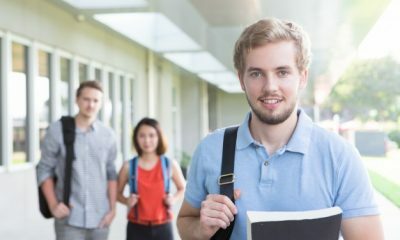 Once the period of tenure of a scholarship has commenced, the Scholarships Committee may, at its sole discretion, grant a scholarship recipient a deferment of their scholarship for a period of up-to six months. In most cases such a deferment will coincide with a formal suspension from their enrolment in the Master’s degree. A scholarship shall be terminated and the corresponding proportion of the scholarship emolument forfeited, if a scholarship recipient ceases to resume the aforesaid programme of research or advanced study within one month of the last day of the period of deferment. Scholarship recipients shall be required to devote themselves full-time to their programme of research during the tenure of the scholarship and may not hold a position of employment without the approval of the Scholarships Committee. Approval may be given for scholarship recipients to undertake paid employment (usually tutoring) for up to a maximum of 600 hours in one calendar year. Each scholarship recipient and his/her principal supervisor shall provide a quarterly progress report to the Scholarships Office six months after the commencement of the scholarship. Where progress is not satisfactory, the matter will be referred to the Scholarships Committee. The Scholarships Committee may at any time suspend or terminate a scholarship, if the scholarship recipient is not diligently pursuing their programme of research, has violated the University Statute on Conduct, or has failed to comply with any of the terms and conditions on which the scholarship was awarded.